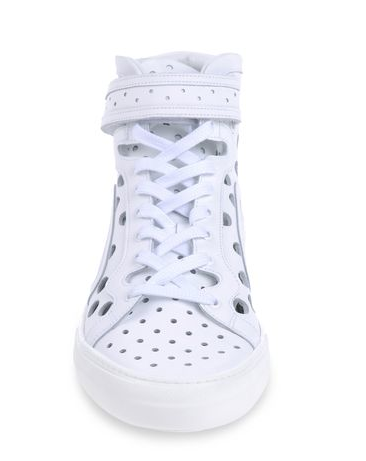 So it's no surprise that I love a clean white high top in the Spring/Summer. And lately I've been really into whimsy. 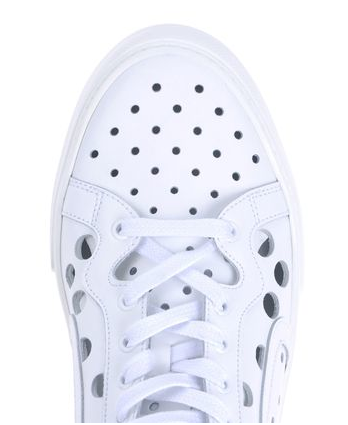 Add the two together here and what you have is a really fun shoe for the season. 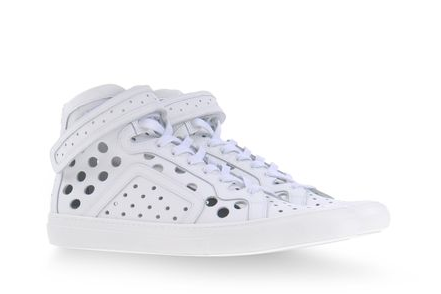 Pierre Hardy's High Top is complete with more holes than you can count but it makes for a very fun shoe with or without socks (I'd go without). The numerous cut-outs adorn a premium white leather and even the ankle straps can't escape the air conditioned treatment. Not for everyone but on that first 90 degree plus day, you may want to be sporting the white & whimsy. Available now at TheCorner.com.